Take your wine with you on your next outdoor adventure with the Glacier Stainless Nesting Red Wine Glass (15 oz.) from GCI Outdoors. This glass features durable polycarbonate base that snaps into rim for efficient packing and storing. 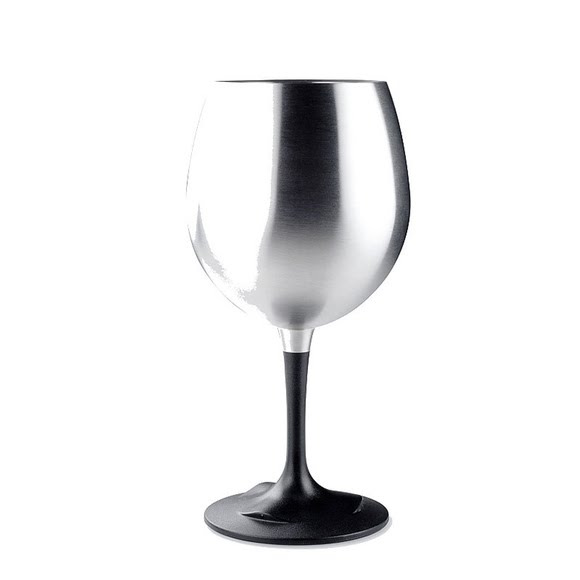 Take your wine with you on your next outdoor adventure with the Glacier Stainless Nesting Red Wine Glass (15 oz.) from GCI Outdoors . This glass features durable polycarbonate base that snaps into rim for efficient packing and storing. Measurements 3.60" x 3.60" x 4.70"